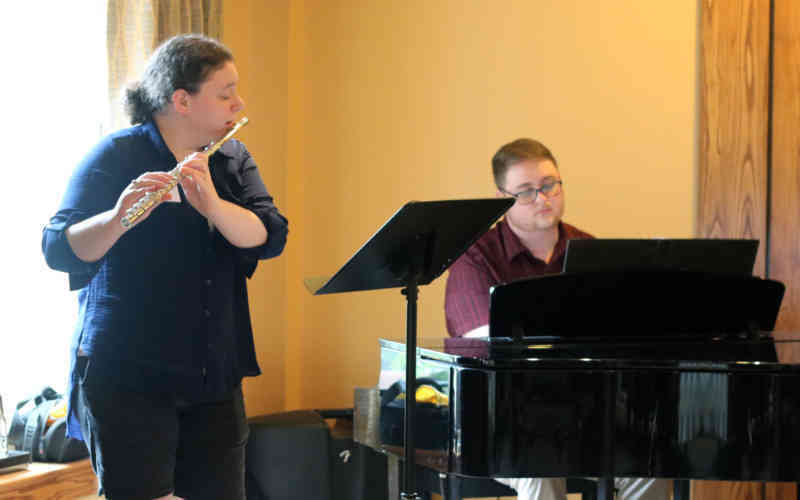 Graduate students Katelyn Stidham and Christian Johnson are our inaugural Musicians-in-Residence program; a partnership between SageLife and West Chester University’s Graduate Music Department. The pair have moved into Plush Mills, SageLife's community in Wallingford. In the spring, they'll relocate to Echo Lake, where they’ll perform, teach, and develop music programming. “Sharing my love of music and the knowledge I’m gaining in my graduate studies is truly fulfilling,” said Katelyn. Katelyn is an accomplished flautist who also plays piano and steel drums. Christian, a pianist and vocalist, has experience performing for and with seniors in his community.